Ivonne M. Davila is the Director of the Financial Planning and Performance Analysis Division for the Miami-Dade Aviation Department (MDAD). She began her career in Miami-Dade County in the Public Works Department. In 1988 she joined the Aviation Department within the Finance Division and worked in the Revenue, Accounts Payable and Budget sections. As Division Director for Financial Planning and Performance Analysis, Ms. Davila: develops and monitors the Aviation Department’s annual operating budget; prepares and publishes the Operating Budget Book for the Department; establishes the annual airline rates, fees, charges and fee-setting process; provides quarterly financial reports to support internal planning and management decision making; and acts as the liaison between the Department and the County’s Office of Management and Budget (OMB), Office of the Commission Auditor (OCA), and the Miami Airport Affairs Committee (MAAC). 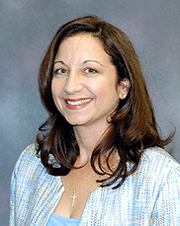 Ms. Davila earned a bachelor’s degree in Business Administration from the Union Institute in Cincinnati, Ohio. She is an active member of the Government Finance Officers Association (GFOA) and has received the Distinguished Budget Presentation Award and certifications for Building a Better Budget Document and Performance Measure and Management. Ms. Davila holds professional certificates from Florida International University for supervisory leadership development and project management principles for information systems.